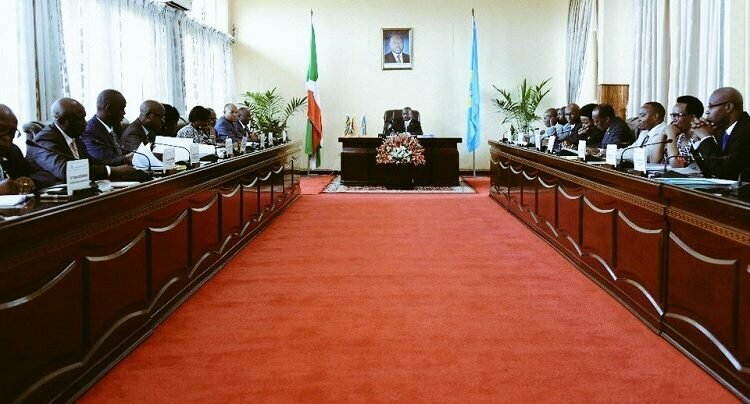 BUJUMBURA April 19th (ABP) – The Cabinet met on Wednesday April 18, 2018 led by the Head of State, Mr. Pierre Nkurunziza, with seven items on the agenda, according to official sources. 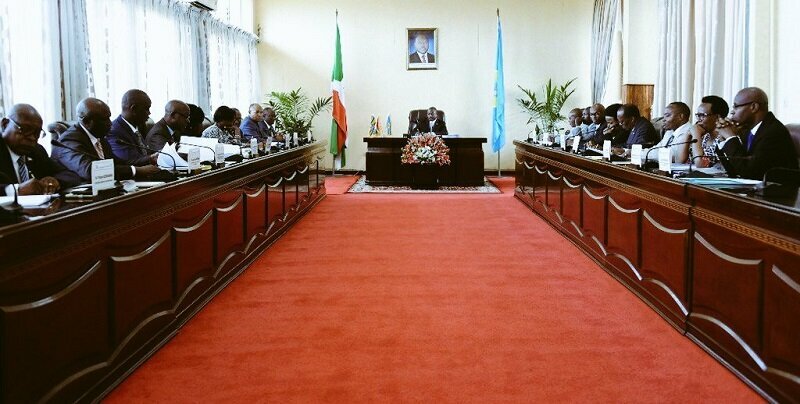 There was the bill reorganizing the Ministry at the Presidency in charge of East African Community (EAC) Affairs presented by the Minister in charge of EAC Affairs; the draft Decree on the statutes, organization and functioning of the National Agency for the Promotion and Regulation of Cooperative Societies (ANACOOP); the draft Ministerial Order amending Order No. 740/07 / CAB / 2013 of the 24th October 2013 on the establishment, organization and functioning of Hill, Communal and Provincial Development Committees; a note on the expectations and the role that communes must play in the putting up and monitoring of the implementation of natural resource exploitation agreements in their territories and sectoral projects resulting from non-communal competencies financed by the partners , the three were presented by the Minister of Communal Development. The Cabinet also analyzed the draft memorandum of understanding in the field of tourism cooperation between the Government of the Arab Republic of Egypt and the Government of the Republic of Burundi, the draft agreement between the Government of the Republic of Burundi and the Government of the Arab Republic of Egypt on Bilateral Cooperation in the Fields of Sports and Recreation, the Draft Memorandum of Understanding in the Field of Youth between the Government of the Arab Republic of Egypt and the Government of the Republic of Burundi, the three presented by the Minister of Youth, Sports and Culture.